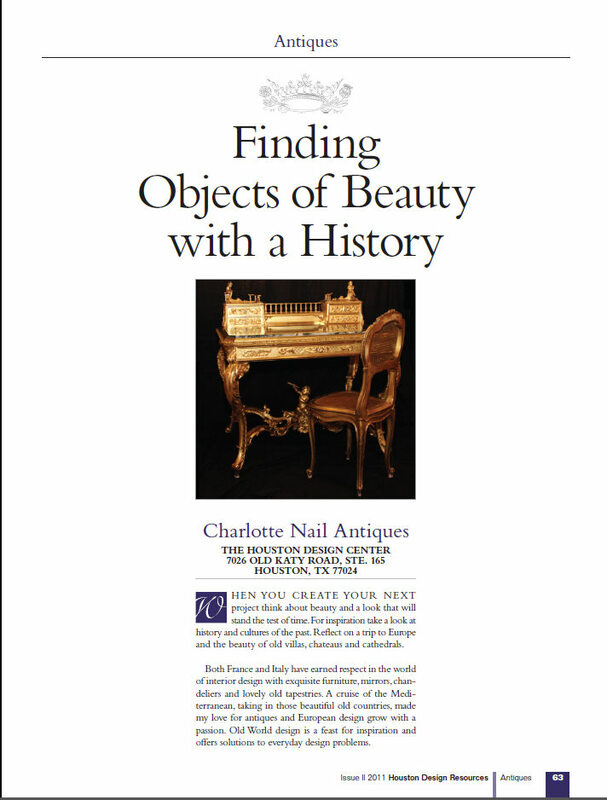 HDR Dedicates 3 Pages to Charlotte Nail Antiques! Comments Off on HDR Dedicates 3 Pages to Charlotte Nail Antiques! 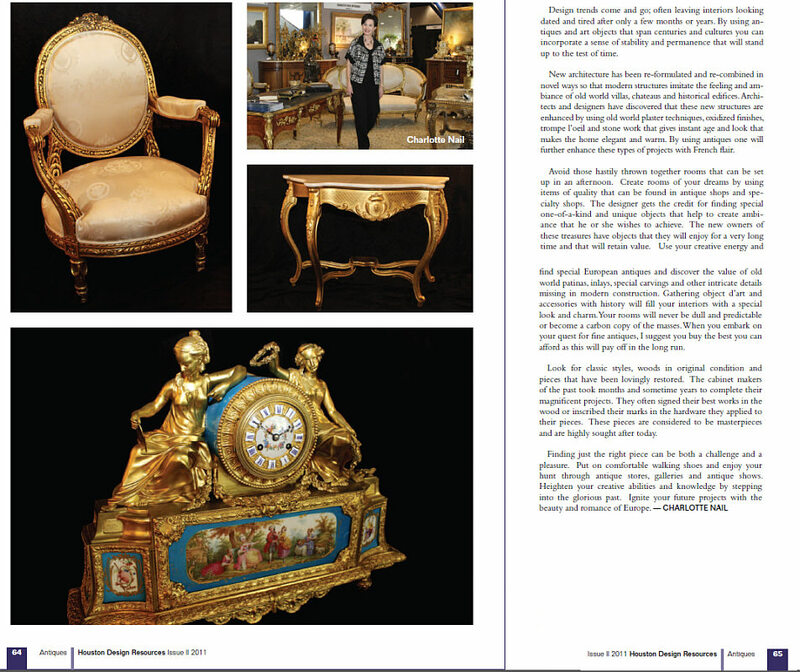 Charlotte Nail Antiques featured in a spectacular article from the HDR (Houston Design Resources) in their Fall 2011 – Winter 2012 issue.